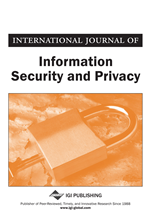 In this paper, the authors discuss security issues for cloud computing and present a layered framework for secure clouds and then focus on two of the layers, i.e., the storage layer and the data layer. In particular, the authors discuss a scheme for secure third party publications of documents in a cloud. Next, the paper will converse secure federated query processing with map Reduce and Hadoop, and discuss the use of secure co-processors for cloud computing. Finally, the authors discuss XACML implementation for Hadoop and discuss their beliefs that building trusted applications from untrusted components will be a major aspect of secure cloud computing. There are numerous security issues for cloud computing as it encompasses many technologies including networks, databases, operating systems, virtualization, resource scheduling, transaction management, load balancing, concurrency control and memory management. Therefore, security issues for many of these systems and technologies are applicable to cloud computing. For example, the network that interconnects the systems in a cloud has to be secure. Furthermore, virtualization paradigm in cloud computing results in several security concerns. For example, mapping the virtual machines to the physical machines has to be carried out securely. Data security involves encrypting the data as well as ensuring that appropriate policies are enforced for data sharing. In addition, resource allocation and memory management algorithms have to be secure. Finally, data mining techniques may be applicable to malware detection in clouds. We have extended the technologies and concepts we have developed for secure grid to a secure cloud. We have defined a layered framework for assured cloud computing consisting of the secure virtual machine layer, secure cloud storage layer, secure cloud data layer, and the secure virtual network monitor layer (Figure 1). Cross cutting services are provided by the policy layer, the cloud monitoring layer, the reliability layer and the risk analysis layer.